A look at the numbers to see how prevalent the practice is in society and whether the law could actually have any effect. A fresh effort from a Muslim women’s organisation seeking to further codify the way Islamic law is applied in India takes an unusual position: it calls for a ban on polygamy. The law drafted by the Bharatiya Muslim Mahila Andolan, aimed at further codifying Islamic legal provisions regarding marriage, first set down after the famous Shah Bano case, would make all polygamous marriages illegal. In calling for a ban on polygamy, the BMMA finds itself in unusual company. The Bharatiya Janata Party has for years been calling for a Uniform Civil Code that would replace all religious laws with one that governs all citizens. Chief among the demands of those who have called for the UCC is a ban on Muslim polygamy – whether out of belief in secularism or, as opponents allege, because they think having extra wives allows Muslims to have children at a faster rate than Hindus. 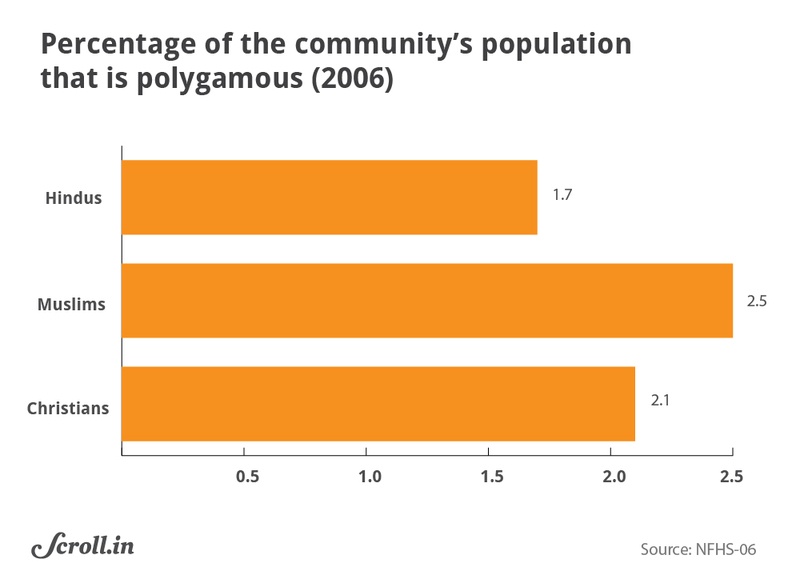 But the numbers indicate that polygamy is not really that widespread among Indian Muslims. Exact data on the subject is hard to come by, primarily because the 1961 census was the last one to look at marriages by religion and community. That survey, in fact, found that incidence of polygamy was the least among Muslims, with just 5.7% of the community likely to practice it. 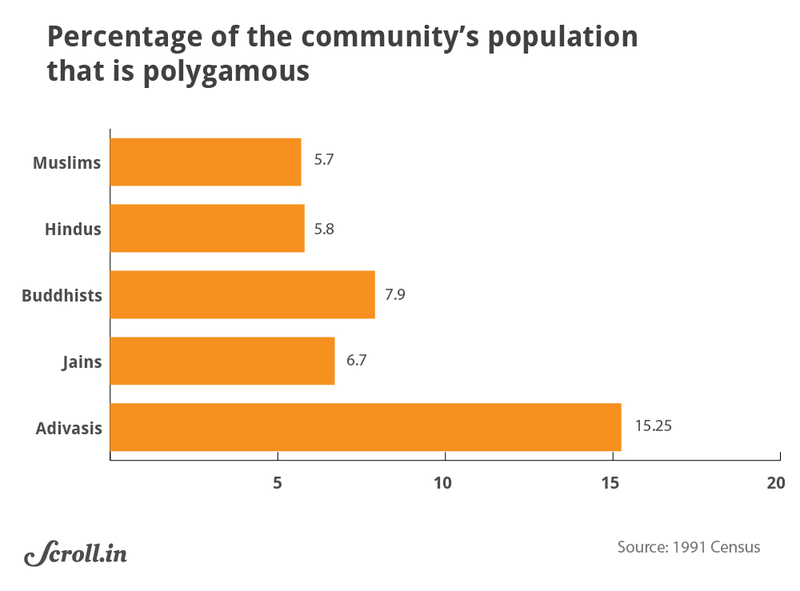 Hindus actually had a higher incidence rate of polygamy, at 5.8%, although other communities, including Buddhists and Jains, were proportionally even more likely to practice polygamy. At the top were tribals, 15.25% of whom were polygamous. According to the third National Family Health Survey carried out in 2006, 2% of women reported that their husbands had more than one wife. More than the religion of the parties involved, determinant reasons were not having a child or a male child from the first wife, education and the age of first wife. It found that a polygamous Hindu was likely to have 1.77 wives, a polygamous Muslim 2.55, Christian 2.35, and Buddhist 3.41. Multiple marriages were most prevalent in the north-east, followed by the south and the eastern region of India. In north and central India, it was almost non-existent. Crucially, all of these studies came after the Hindu Code bills were enacted in the 1950s, when bigamy and polygamy were outlawed for Hindus. Yet, the relative incidence rates across communities appears to be comparable. “The Hindu Marriage Act is just like any other law. It can only accomplish so much. 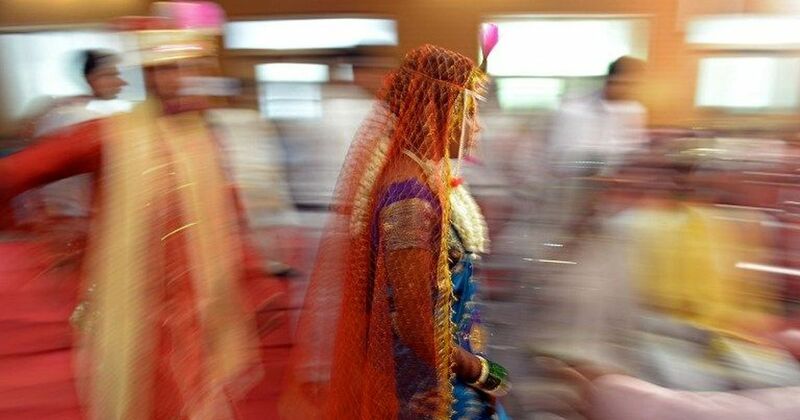 The law also prohibits child marriages, but those also continue to happen,” Menon said. Nevertheless, the Bhartiya Muslim Mahila Andolan is insistent that the Muslim community needs to have a law against polygamy, to move towards a society that treats women with dignity and equality.